Cheryl Catsoulis is the Director of Brain Injury Services for The Journey Brain Injury Community Services, providing specialized adult day services to the Denver Metro Area for persons with brain injury since 2013. As Director of Brain Injury Services for Greeley Center for Independence from 2004 to 2013, she was responsible for the development and certification of Stephens Brain Injury Campus as the first fully certified Supported Living Program for Adults with Brain Injury under the Colorado Medicaid Brain Injury Waiver. Cheryl is a Certified Brain Injury Specialist Trainer and held Senior Instructor in Nonviolent Crisis Prevention Intervention. 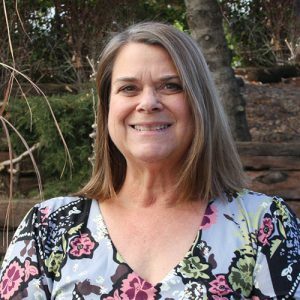 With a Bachelor’s Degree in Therapeutic Recreation from Missouri State University, Cheryl has over 30 years’ experience working with persons with brain injury as a Therapeutic Recreation Specialist, a Case Manager and a Program Director.